Your Refurbished laptop comes with 1 year Depot Warranty, which starts at the date of purchase. A Depot Warranty means that in order for repair services to be rendered you must send your computer into a repair facility. The warranty of this laptop is issued by Refurble. Please do not take this laptop back to the Bookstore for service, or with any technical questions. 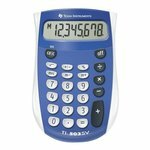 10-Digit Scientific Calculator is ideal for general math, pre-algebra, algebra 1 and 2, trigonometry and biology. 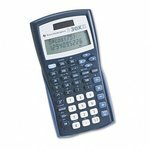 Performs trigonometric functions, logarithms, roots, powers, reciprocals, and factorials. One-variable statistics include results for mean and standard deviation. 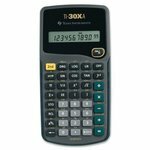 Calculator also adds, subtracts, multiplies, and divides fractions entered in traditional numerator/denominator format. Conversions include fractions/decimals, degrees/radians/grads, DMS/decimal/degrees, and polar/rectangular. Battery-powered calculator includes slide case.